Wyndham Worldwide was preparing for the launch of a new hotel brand, TRYP by Wyndham, in New York City. TRYP had established a reputation as a select service brand with locations in the world's most prestigious cities, including: Barcelona, Berlin and Paris. 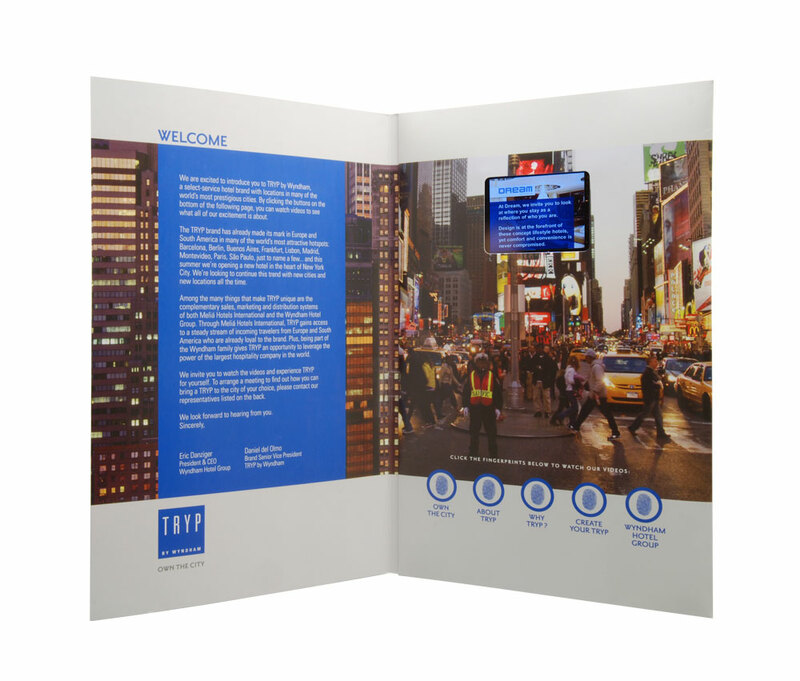 To announce its grand entrance in New York City, TRYP needed a marketing vehicle that was both stylish and cutting edge to match the hotel’s persona. Wyndham Worldwide partnered with Americhip to produce an engaging mailer featuring Americhip's 2.4” VIP® screen. Upon opening the video brochure, five chapter buttons are revealed which each playing a unique video clip highlighting the benefits and features of the hotel. 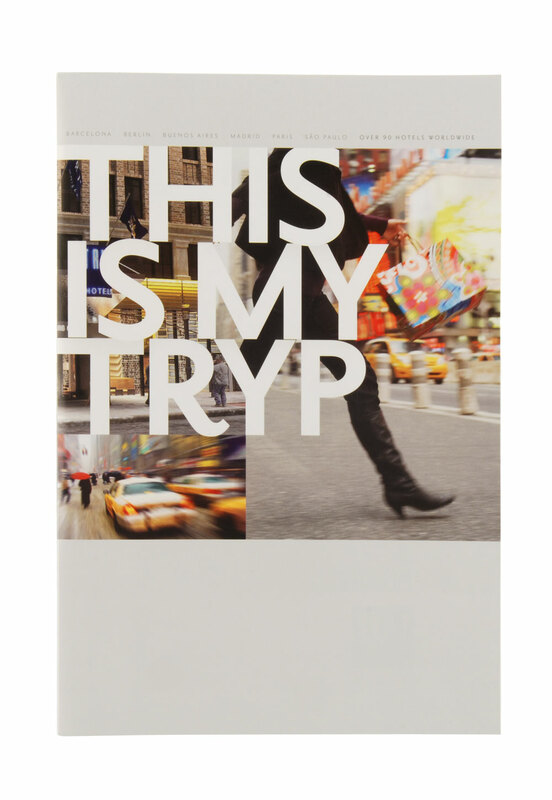 “This is my TRYP” is boldly stated on the front cover and a lively snapshot of Time Square is shown on the inside spread. 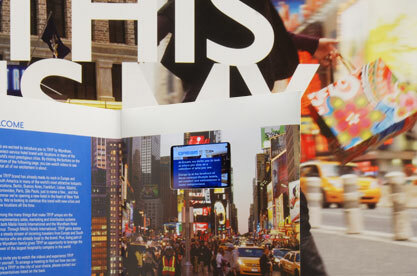 This sleek video brochure exudes an energetic spirit that is characteristic of the hotel and its new home—New York City. Wyndham Worldwide received great feedback from the initial order of the video brochure. A few weeks later, they returned to increase the order quantity in hopes of reaching more consumer, corporate and media outlets to announce this exciting new hotel brand.